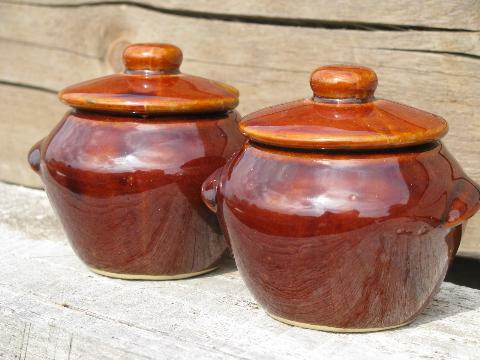 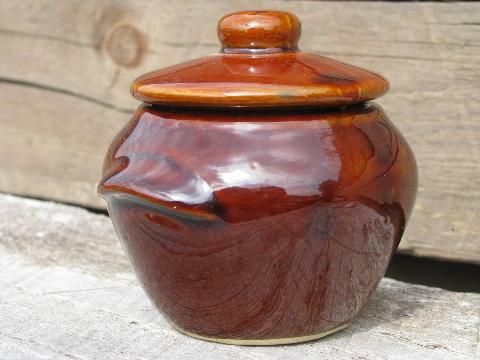 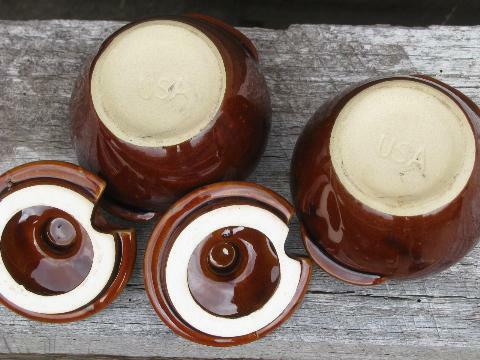 Two vintage stoneware crocks for jam, mustard, or other condiments? 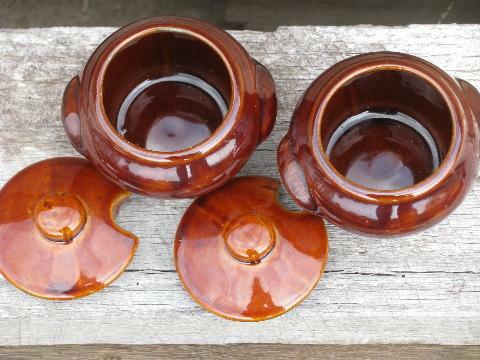 These are 3 1/2" tall, and have lids notched to hold small spoons. 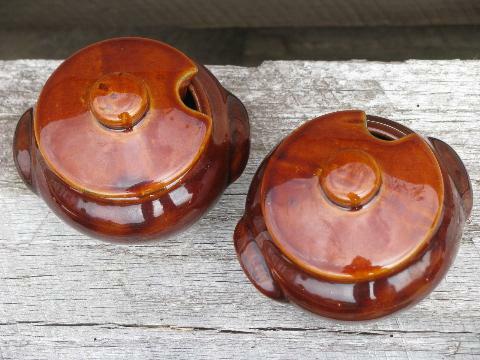 Both look good, no chips or cracks.